FSA has a winner in the Flowtron; delivering a performance dropper post with no need for aftermarket upgrades. FSA released the new Flowtron dropper post at Eurobike 2017 and racers and riders alike have been looking to get their hands on it. 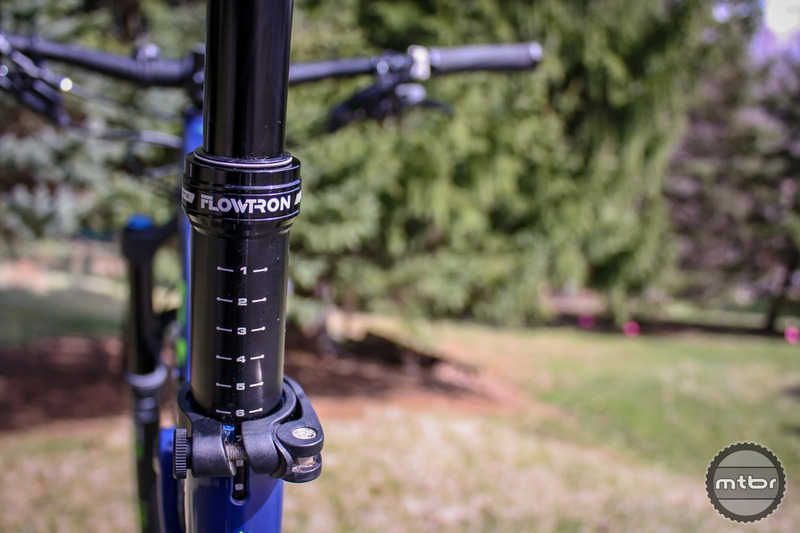 A massive update from its previous dropper seatpost, FSA swung for the fences and listened to rider feedback with the Flowtron. Coming in at $299 retail the Flowtron is cost-effective and weighing in at 600 grams, read on to see if it ticks all the boxes for a lot of trail riders. FSA is no stranger to the trail and all mountain scene having successful lines in both cross country and enduro. An essential element of these segments is now the dropper post, now a must-have component for agggresive descending. Dropper posts are slowly creeping their way on to near every dirt related bike we know. Why not? Nothing beats that first dropper feeling; soaring down your favorite descent, hitting the magical button, slamming the post and railing like there’s no tomorrow. 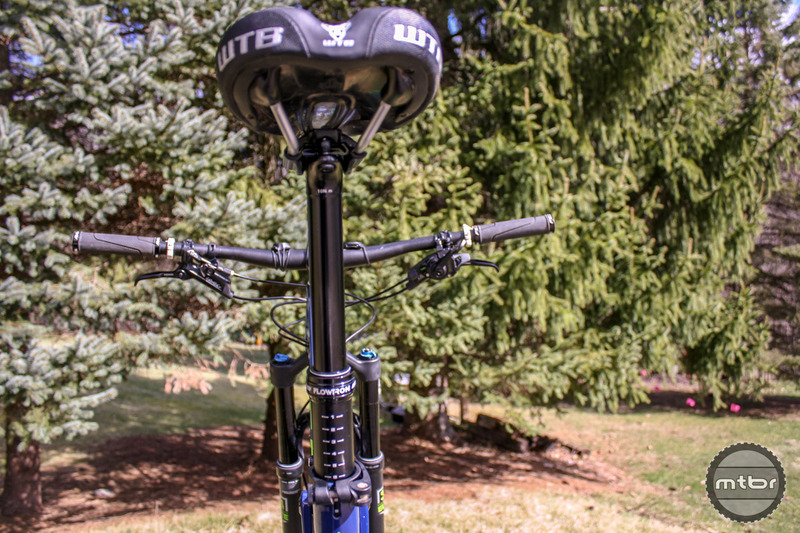 Now dropper posts are lighter, faster and less expensive, bringing the drop to the masses and improving ride quality everywhere. FSA wants to get in on the action with the affordable and reliable Flowtron. FSA Flowtron is easy to install and get your height dialed in. The name Flowtron from what I can gather is the name of a dropper recommended trail in Tokul East outside of Seattle; super cool. Out of the box, it’s noticeable that every aspect of the Flowtron is checked over, even the packaging. Sleek design and thrash metal graphics, the Flowtron is meant to complement the ride without calling attention to itself. The most notable upgrades from the prior model is the dedicated single textured thumb lever with adjustable tension. This style lever is much easier to operate and is reminiscent of expensive aftermarket levers. The addition of a barrel adjuster makes setup very easy as well as adjusting for housing seating after install. 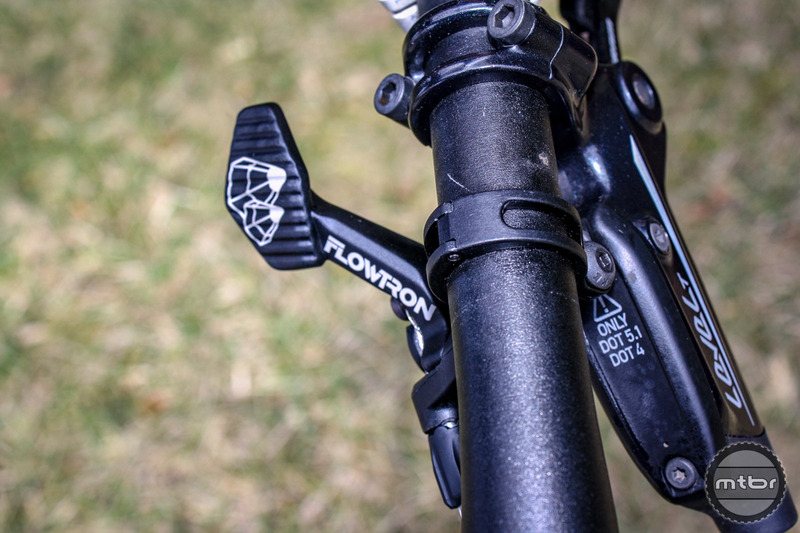 FSA Flotron’s lever has a light feel and quick action. We tested the 150mm 31.6mm options which came in at 462mm long and 600g (excluding the 50g remote). Internally, the Flowton received an upgrade adding a sealed cartridge to adjust the post height and moved from two to three circular brass keyways to improve durability and reduce play. They also dropped 100 grams off the post by moving to an aluminum cartridge with a 6mm shaft in place of the steel cartridge with an 8mm shaft. Switching from a Fox Transfer to the FSA Flowtron I only find little nuances in performance difference. The Flowton returned faster than my FOX and my thumb preferred the action on the lever as well. After many miles of riding no play or adverse dropping has occurred. The setup was effortless, but my only gripe is I would like a place to slot the cable end, to keep everything nice and tidy. Though the pinching mech screw is a much better choice, rather than sink screws that only destroys cables after installation. Detail is everything and the Flowtron lever is proof; no slips and all grip. The Flowtron is designed with a 3-pin brass keyway, so the user can fine tune spring tension of the lever (resistance and feel) on the cam. Tension adjustment is achieved by choosing one of three different tension setups for different level resistance and feel. Travel lengths are 125mm (421mm length, 285mm insertion depth, 630g with remote) and 150mm (446mm length, 320mm insertion depth, 660g with remote), in both 30.9 and 31.6 diameters. No word on the serviceability of the cartridge but we plan on circling back with a long-term review. FSA has a winner in the Flowtron; delivering a performance dropper post with no need for aftermarket upgrades, at a price that most can wrap their head around. 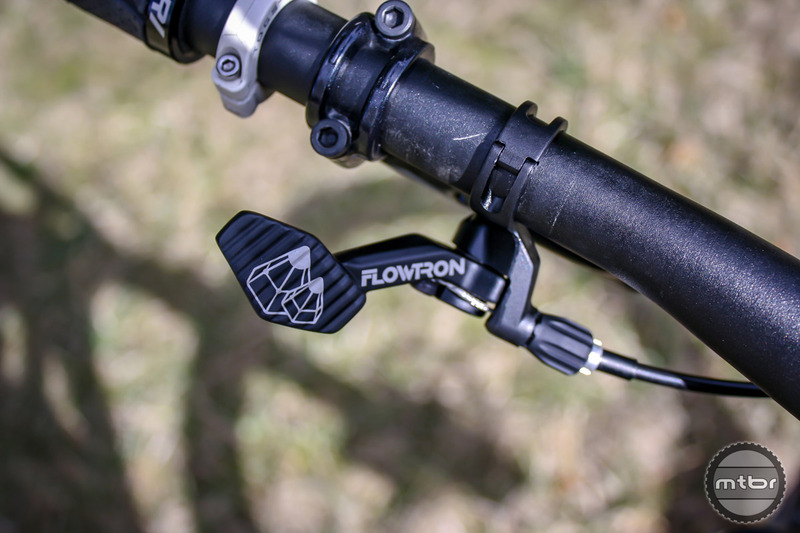 If you’re looking to add some drop to your trail ride, check out the Flowtron; you will not be disappointed. Is the cartridge user serviceable ? If so how ? If not then how much for factory robbery or replacement ? How easy was the install ? Directions ? Setup steps ? Other lengths available and for different seat post diameters ? FSA website has no mention of this product ! Lots missing in this review. Yes, the cartridge is serviceable via direct replacement and will be available in a kit through FSA distributors and local retailers. The cartridge is threaded into the stanchion and lower actuator and takes about 15 minutes to change out. A brass key and bushing service kit will also be available. The Flowtron will be available this Spring at local retailers. Complete information will be updated on the FSA website at this time. Installation instructions are supplied and will be available on FSA’s website. Return speed can be modulated with the remote but is not mechanically adjustable.